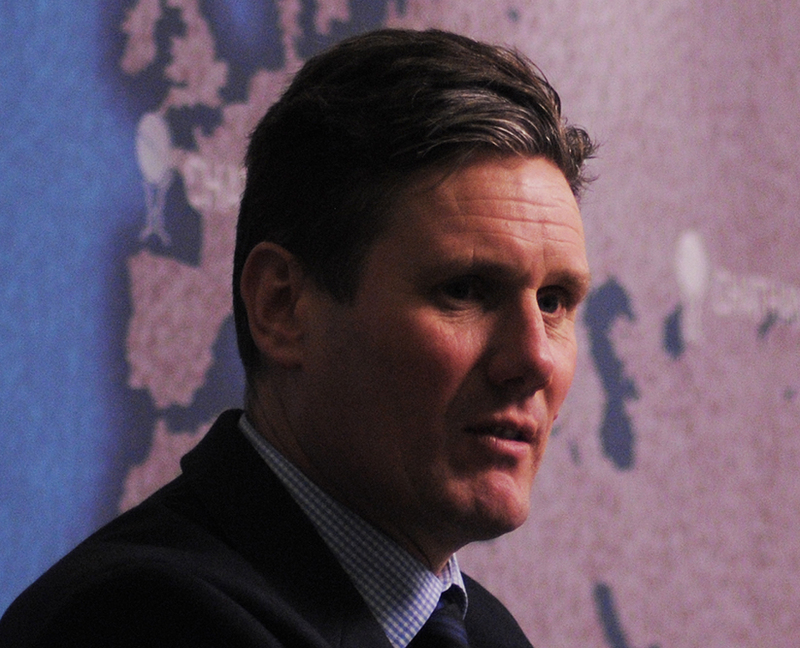 Labour’s new Shadow Brexit Secretary Keir Starmer set out the party’s approach to leaving the EU yesterday, stating Labour should seek to keep Britain in the single market but be “open to adjustments” when it comes to freedom of movement. 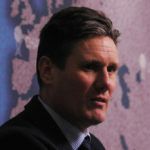 When asked about Labour’s approach to the post-Brexit economy, he attacked the Tories for taking “an axe to the economy” and presenting “a huge risk to the economy, to jobs, and to working people.” Demanding that workplace rights guaranteed by the EU should be enshrined in UK law, Starmer joined the calls for May’s Brexit proposals to be put before the House of Commons for a vote. But Labour members will be concerned at his apparent ease with compromise on freedom of movement. John McDonnell had previously suggested Labour would push for single market (EEA) membership, which entails accepting freedom of movement, while Jeremy Corbyn has said there should be no controls on immigration for EU nationals. If Britain were to sacrifice EEA membership in order to curb immigration, which is what some Blairites such as Chuka Umunna have suggested, they could risk endorsing a huge economic shock to the UK. Meanwhile, in the party, Jeremy Corbyn regained control of the NEC at the weekend through completing his reshuffle of the Shadow Cabinet. Jon Ashworth, Cabinet Office minister who attended Shadow Cabinet, was reshuffled to take over as Shadow Health Secretary, but gave up his place as one of Labour’s three frontbench representatives on the NEC, the other two being Rebecca Long-Bailey and Jon Trickett. Ashworth was replaced by Kate Osamor, who previously served on the NEC from 2014 until she was elected MP for Edmonton. This move will hopefully strengthen Corbyn’s position in the party and prevent the party’s right wing from imposing a series of rule changes such as Shadow Cabinet elections, which are designed to hamstring the leader. Various figures on the party’s right are believed to be setting up a “Shadow Shadow Cabinet” to continue their long-held opposition to Corbyn, by caucusing in private and deciding when to rebel against the Labour whip – which would presumably entail voting with the Tories on matters that Labour voters oppose. Briefing to the Daily Telegraph, “several moderate figures” have organised weekly meet-ups of backbench rebels to endorse more immigration controls and the renewal of Trident – issues that will set them in opposition to most of the party’s membership. Chris Leslie, Mike Gapes, Steve McCabe and John Woodcock are believed to be among those organising against Corbyn just weeks after his re-election as leader, according to the Telegraph. Plans to bring back Shadow Cabinet elections, however, appear to have had cold water poured on them, after Shadow Secretary for International Trade, Barry Gardiner, pointed out it was now “a decision for the leader” on BBC Sunday Politics. There are further appointments to make in Labour’s reshuffle, after Conor McGinn and Holly Lynch, Labour’s whips, have resigned after Rosie Winterton was sacked on Friday. Blair of course managed six whips in his thirteen years as leader, and as Winterton had been in post since 2010 and failed to avert the disastrous coup attempt against Corbyn, some would argue it might have been time for her to move on. Ten of those MPs who quit the frontbench have now returned to serve, including Chi Onwurah, Jonathan Reynolds and Pat Glass. Labour’s new Chief Whip, Nick Brown, is also anti Trident, having spoken against nuclear weapons in the House before. Senior figures from the New Labour era have been taking to the airwaves and to print in order to undermine the new Shadow Cabinet before its work has even begun. Alastair Campbell, Blair’s infamous spin doctor, appeared on Peston on Sunday to argue Corbyn had no policies, telling viewers, “Where are the policies that are detailed and out there?” Perhaps Campbell missed the Ten Pledges Corbyn set out this summer, and the seven policy documents that accompanied them? Meanwhile Alan Johnson has said Corbyn is not up to the job, and former Home Secretary David Blunkett has used the Mail on Sunday as a platform to agree with Theresa May and brand Labour the new “nasty party”, taking particular issue with Labour’s new Shadow Cabinet, arguing “Diane and Shami have both been deeply critical of our intelligence and security services over the years.” Maybe it is a novel idea to a New Labour Home Secretary that the Shadow Attorney General might be someone who stands up for the rule of law, after all, legality when it came to intelligence and security was something of a blind spot during Blunkett’s day. The real worry for New Labour retrogrades putting their head above the parapet might be found in a poll in Saturday’s Independent. After Tony Blair hinted at a return to frontline politics, a move that would take him away from earning millions advising dictators in Egypt and Kazakhstan, YouGov polling found that Labour’s vote share would fall to just 15% under Blair. At least one former New Labour figure managed to behave himself this weekend. Former Shadow Chancellor and Brown adviser Ed Balls left the new Shadow Cabinet alone, and instead made it through to the next round of Strictly Come Dancing. You can see a clip of him here. It’s quite something. Momentum’s birthday marks a successful year. But what happens next? But Labour members will be concerned at his apparent ease with compromise on freedom of movement. Will they? What is the evidence for that? When did the “principle” of free movement become sacred dogma? The free movement of people (originally the free movement of labour) is all of a piece with the free movement of capital. I am much more concerned about the silence over the latter than with Keir Starmer’s suggestion that some measure of control is required to deal with large population movements. It is interesting that Stiglitz and others have started to question free movement from an economic angle. Large movements if population involve distribution of resources, rights to social services, development of housing stock and much else besides. The idea that there is some kind of demographic hidden hand which will ensure that everyone seeking to maximise their own individual self-interest is surely at least as absurd as its economic equivalent. How did this ever become such a tenacious dogma on the left? I agree David. Whatever the ultra-lefts say there is nothing intrinsically anti-socialist about immigration controls, work permits and citizenship rights, and in fact it is silly to talk about the necessary planning and resource allocation of socialism without at the same time having planning around population movements. And lest anyone wants to try arguing the case for no border controls then explain why socialist Cuba has far harder entry, work and residency rules than the UK. My concern with Starmer’s comments is not around immigration (and unless some in the Party ‘get it’ soon about the issue – and Diane Abbott is an example – then regardless of what a mess UKIP is in they are risking electoral disaster in areas like mine in the north), but in his support for Parliament to get a vote on Brexit. The ‘hard’ and ‘soft’ Brexit debate is a smokescreen in all of that of course, on my ballot paper it was quite clear what I was voting for and that was to leave the EU, false stop. But if this Parliament must vote idea gains traction (and to me it is on the same level of insult as Smith’s second referendum call), then what on earth do these people think would happen if MP’s then voted against Brexit which is entirely possible. It is dangerous and should be stamped on now. From a purely legalistic standpoint, I’d have thought that parliament would have to vote on the acts implementing Brexit, as referenda are purely advisory in this country. I’m no constitutional scholar, of course, so I may be wrong. The potential advantage of voting on it would be that it would give parliament a chance to debate, and offer ammendments to, the plan for Brexit. You might have voted for leaving the EU “full stop”, but that still leaves quite a lot up in the air such as the relationship to the single market. Socialist Cuba also has some very strict rules on emigration. You can end up dead! Whatever one thinks of the principle of free movement, I suspect that many Labour members and most of the Corbyn supporters will be reluctant to compromise on it. This is just a subjective impression based on what I’ve seen of my peers and social media posts, but free movement has become pretty sacred for a lot of people. Interestingly, this seems to be a peculiarly European (perhaps just British?) demand of the Left. By the standards of much of the British Left, the socialists in North America (to the extent that they exist in any number) are hopelessly reactionary because they just demand an amnesty for illegal immigrants already in the country rather than fully open borders. I fully agree with you that we should be looking to restrict the free movement of capital (and perhaps, in a few sectors, goods and services). I’ve been quite irritated by how uncritical many on the Left (such as Paul Mason and John McDonnell) are when it comes to the various requirements of the single market. The only possible justification for the Left for joining it is to avoid economic chaos, but even then they should have clear demands to try to blunt the worst of its neoliberal measures. Yes, the British left’s position on free movement of labour is peculiar for a number of reasons. First that it only ever seems to be applied to EU workers, not those from anywhere else, so it is oddly (and quite nastily) racist given that we are talking about the right of mainly white Europeans to come and work and live here, not Black and Asian people from outside the EU. Next, it always seems a very one-way free movement of labour (not including free movement of Brit pensioners to Spain etc. ), as how many working class people really desperately demand the ability to nip off to France or Italy for a job (I did know a few scouse brickies in the auf wiedersehen pet 80s who did it in the German building boom until they found they couldn’t claim dole on their return after 6 months or whatever due to being classed as ‘not habitually resident’ by the social). So the demand for freedom to work anywhere in Europe has always struck me as a very self-indulgent middle class student type wish, although that sadly probably explains its popularity among a section of Corbyn supporters! Meanwhile of course while those people are refusing to talk about immigration issues they allow the right to dominate that debate and undermine our electoral support. Very, very, true, David. Sections of the Labour Right and most of the Tories posture cynically about “feeling the pain and concern” of millions of UK citizens at the sheer pace and scale of current migration levels, and its undoubted economic impact on wage levels , and working conditions , and local services, particularly in the lower paid job market and poorer localities. But of course totally unlimited labour supply was always an absolutely core feature for the overall neoliberal agenda of the EU, and the Blair/Brown Labour and more recent Coalition and Tory governments. Despite the rhetoric, and possible future minor cosmetic changes, our current economic structure is profoundly shaped by this unlimited labour supply availability, and without radical restructuring will not , and indeed cannot, change in the future . So what does the Corbynite Left offer instead ?Absolutely nothing, other than a demand for local “migrant impact funding” and better protection for the low paid against “wage undercutting”. Other than that the Left’s general attitude is, stripped of its posturing, ” there should be no limit whatsoever to migration , or its pace and rate, and hence competitive inward labour supply – and anyone who thinks so is a racist bigot”. This is pure liberalism, with no historical connection with socialism , seguing effortlessly with the current almost hysterical concern of UK Business that Brexit might turn off the unlimited labour supply tap. Where is the alternative Left economic strategy that would encompass capital movement, investment policy, regional policy and training and education policy, alongside future labour supply planning, within a comprehensive Economic Plan -of even a 1960’s Wilsonian level of ambition ? Nowhere at all so far. The “Left” in the UK appear to have degenerated into a “tax and spend” liberalism of good intentions and favourite un-joined-up “nice” policies, which speaks only to the obsessions of the isolated Left of the last 30 years, rather than to the real concerns of the millions of working class ex, actual, and potential voters Labour has to win to a radical Left narrative of fundamental change, if we are to ever break out of the destructive straightjacket of neoliberalism and unending Austerity for the 99%.. I hope that the author of this article is going to respond to the objections above to his/her criticisms of Keir Starmer. This is a very important and very contentious point. If we cannot get some sensible exchanges going on this matter then it has to be wondered just how ready we are for reasoned debate about anything. Whenever questions are asked about this wisdom of no controls all we get, in my experience, is either silence or a suggestion that those who think that some sort of control of international population movements is required are dupes of the right. We have a right to expect something better than this i.e. arguments that deal with our points. This is a Corbyn-supporting website. (I have written a number of Corbyn-supporting pieces myself.) Why should we not have a response not only from whoever wrote this piece but also from Corbyn or one of his trusted advisers or colleagues? Or is it too much to expect that sometimes our leaders should engage in critical debate with members (including members who have supported them and worked to get them elected)? In a few days this item will be off Left Future’s home page. Out of site, out of mind. The website promotes itself as “The best that’s Left in Labour. Good writing. Sharp criticism. Open debate”. The reality is that the majority of contributors do not engage in debate and feel no obligation to respond to questions or criticism. This would not be thought accessible in a public where it would be regarded as a sign of arrogance.nso what makes acceptable on line (where replies are not in real time and can be made at a convenient time for the author). How and when will we really start to practice ‘a new type of politics’? Whenever questions are asked about this wisdom of no controls all we get, in my experience, is either silence or a suggestion that those who think that some sort of control of international population movements is required are dupes of the right. This is something which I’ve noticed too. I’d really like to hear a response, as I would prefer if completely free movement were possible. I’m fairly convinced by the arguments of David and others, but I’d love to be proven wrong.